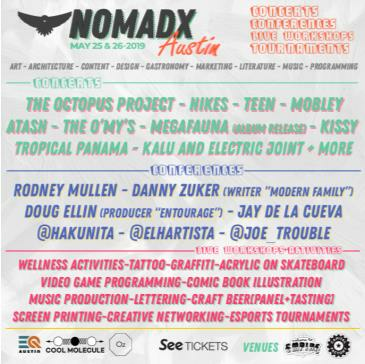 Austin home of BBQ, The Texas Capitol, keeping it "weird" and now NomadX! 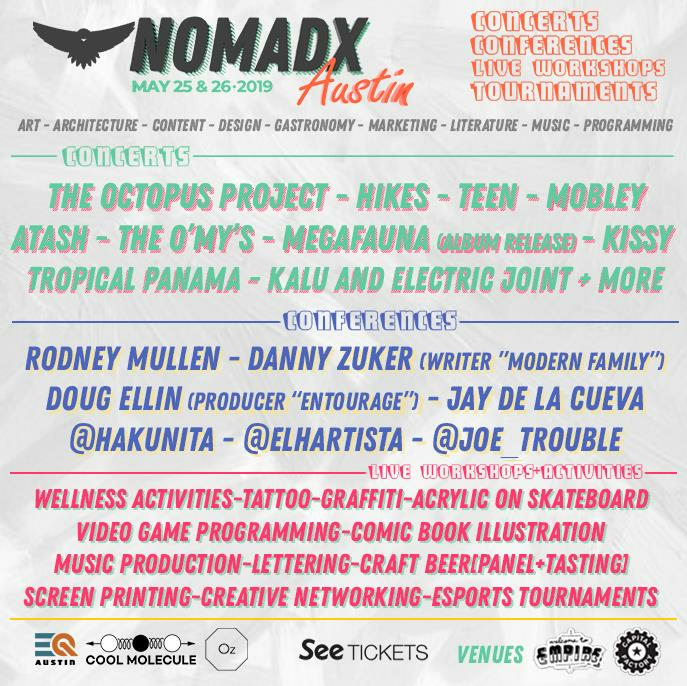 Austin is the perfect city for Nomadx's 14th global event. Multi Venue Event. Empire Garage+Control Room(606 E 7th St, Austin, TX 78701), Capital Factory(701 Brazos St, Austin, TX 78701) (Multiple Spaces). One ticket grants access to all experiences. CONFERENCES - Inspiring moments with awesome individuals. PANELS - Tantalizing discussions around creative products, the industry, community, ethics, financials, and tools. LIVE WORKSHOPS+ACTIVITIES - Live Workshops are opportunities to get up close and personal with regional creative companies that are successfully creating products formally.